Enthiran - Chithi (Robot) | Check what our superstars worship on Aayudha Pooja! Kamal differs from Rajini's view ... And what about Goundamani? Amy Jackson in Superstar Rajini's Enthiran 2? Rajinikanth gives it a START! Arnold and Superstar for Enthiran 2? This film has Superstar's blessings! Enthiran 2 to start rolling on Superstar’s birthday? This page hosts a weekly slideshow related to Tamil movies. Each slide includes a picture and some description about that picture. All the slides will have a recurring theme. People looking for actress stills, actress images, actor stills, actor images, movie stills, movie images, and other interesting topics, relevant issues in Tamil cinema will find this page useful. 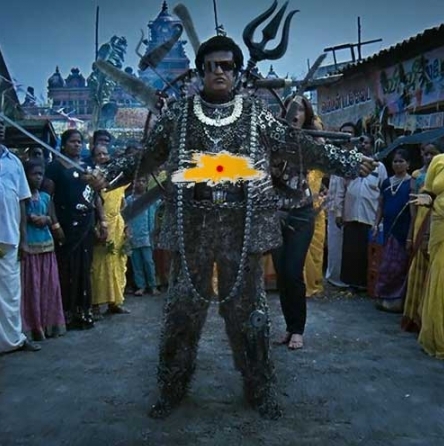 Enthiran - Chithi (Robot) | Check what our superstars worship on Aayudha Pooja!.